Seattle Jazz Scene continues their foray into producing jazz concerts by welcoming New York alto saxophonist Vincent Herring to Seattle on Wednesday, February 29, for two sets at The Royal Room in Columbia City. Vincent has developed into a virtuoso with a voice that is uniquely intense and vigorous with energy and direction. 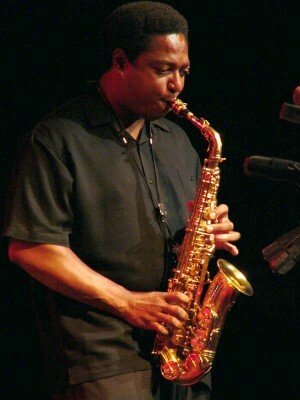 He is considered one of the premier saxophonists of his generation. Vincent first toured Europe and the United States with Lionel Hampton’s big band in the early 1980’s. As he developed his musicianship he began to work with Nat Adderley a liaison that continued for nine years. Along the way he worked and / or recorded with Cedar Walton, Freddie Hubbard, Dizzy Gillespie, Louis Hayes, Art Blakey and The Jazz Messengers, Horace Silver Quintet, Jack DeJohnette’s Special Edition, Larry Coryell, Steve Turre, The Mingus Big Band, Kenny Barron, Nancy Wilson, Dr. Billy Taylor, Carla Bley, and John Hicks. Other special concert and projects have included special guest soloist engagements with Wynton Marsalis at Lincoln Center. Vincent also appeared as a guest soloist at Carnegie Hall with John Faddis and The Carnegie Hall Big Band. While amassing these impressive credentials, Vincent continues to develop his own voice and style. In addition to the legends and peers he has worked with Vincent is inspired by a collage of diverse musical influences. Which is reflected in his original band called Earth Jazz Agents. Vincent is also involved in Jazz education. He is currently on staff at William Patterson University as well as conducting master classes and jazz workshops at Juilliard. Vincent has also conducted master classes on jazz improvising at Duke and Cornell Universities. Vincent has recorded 15 CD’s as a leader and can be heard on over 200 as a sideman. 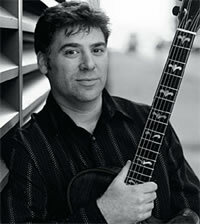 SeattleJazzScene.com is also producing Peter Bernstein at Egan’s Ballard Jam House on Thursday, February 23. The Pacific Jazz Institute at Dimitriou’s Jazz Alley presents for one night only the Eighth Annual Sister City Female Jazz Vocalist Audition. Doors open at 5:30 pm, auditions start at 6:30 pm and the evening will end around 9:30pm. The 8th Annual Sister City Female Vocalist Jazz Audition at Jazz Alley is right around the corner so mark your calendars! The Seattle Kobe Sister City Association (SKSCA) is pleased to announce its Seattle-Kobe Female Jazz Vocalist Audition. SKSCA will select one high school and one adult female jazz vocalist from the greater Seattle area to Kobe, Japan to perform at the Kobe Jazz Queen Vocalist Contest on May 6th, 2012. Every fall for the last twelve years, the winner of the Kobe Jazz Queen Contest has flown to Seattle to debut in the US at Dimitriou’s Jazz Alley. Last year SKSCA sent local jazz vocalist Jacqueline Tabor and high school vocalist Kelila Gottlieb to Kobe for the May 2011 Kobe Jazz Queen Contest. This year, the SKSCA is proud to host its 8th jazz vocalist audition as a reciprocal exchange to send two Seattle female jazz vocalists to Japan. Finalists will be selected by early March, and they will perform at a live audition at Dimitriou’s Jazz Alley on Monday, March 19, 2012, from 6:30 – 9:30 p.m. (Doors open at 5:30 pm.) Family, friends, and community members are encouraged to come and support the finalists. The suggested donations are $5.00/students and $10.00/adults with proceeds supporting this and future Seattle-Kobe Jazz competitions. Finalists will be announced the first week of March. Sponsors for this event include: Dimitriou’s Jazz Alley, Kobe Trade Information Office, Sankei Travel,Seattle-Kobe Sister City Association, and Shinkaichi Music Street. Three high-school jazz bands from the Seattle area have been selected as finalists for the 2012 Essentially Ellington competition in New York. For the first time, Ballard High School is in the running. The two other finalists — Roosevelt High School and Mountlake Terrace High School — are veterans of the contest. Roosevelt has won three times. Mountlake Terrace has been in the finals five times and come in third twice. The 15 finalists were chosen from 111 applicants, who sent in recordings of three songs. Essentially Ellington is sponsored by the nonprofit organization Jazz at Lincoln Centers. The finals take place May 4-6 at Jazz at Lincoln Center. Seattle guitarist Bill Frisell must be part cat, though his irrepressible curiosity hasn’t been fatal yet. One week he’s releasing an exquisite batch of John Lennon songs (“All We Are Saying … “), the next week it’s a collaboration with a Brazilian vocalist (“Lágrimas Mexicanas”). Peter has played with legendary drummer Jimmy Cobb (Cobb’s Mob), organist Larry Goldings, Dr. Lonnie Smith, Melvin Rhyne, drummer Bill Stewart, Joshua Redman, Diana Krall, Nicholas Payton, Lee Konitz, Tom Harrell, and Eric Alexander and performed in North America, Europe and Asia and making numerous television appearances.